5 Oz. 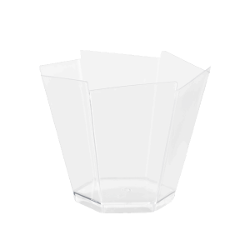 Clear Cup With Lid - 12 Ct.
4 Oz. 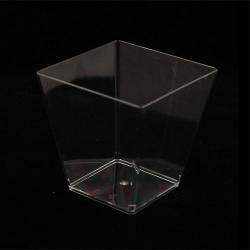 Clear Pentagon Miniatures - 20 Ct.
4.35 Oz. 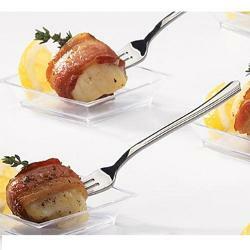 Clear Sauce Boat Miniatures - 12 Ct.
2.3 Oz. 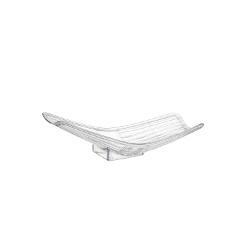 Clear Triangle Miniatures - 24 Ct.
3.1 Oz. 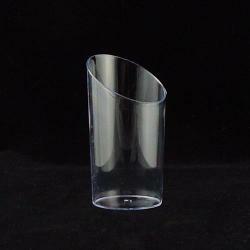 Clear Curved Square Miniatures - 24 Ct.
3.3 Oz. 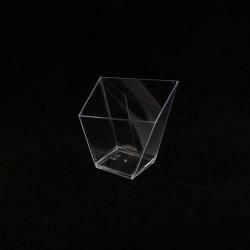 Clear Hexagon Miniatures - 24 Ct.
3.6 Oz. 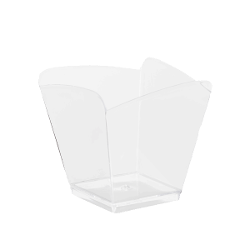 Clear Square Mousse Cups - 10 Ct.
4 Oz. Clear Reuleaux Miniatures - 20 Ct.
2 Oz. 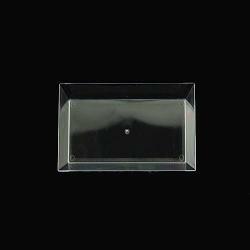 Clear Square Miniatures - 24 Ct.
2.75 In. 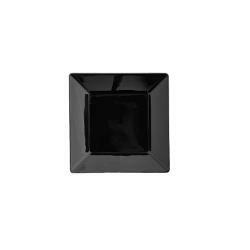 Black Square Miniature Plates - 20 Ct.
2.75 In. 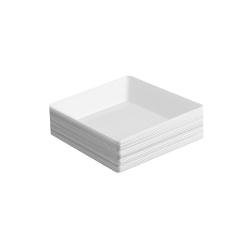 White Square Miniature Plates - 20 Ct.
2.75 In. 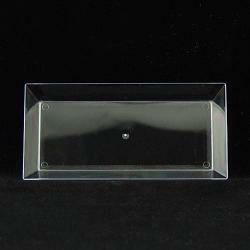 Clear Square Miniature Plates - 20 Ct.
2.44 In. 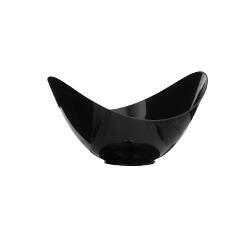 Black Sauce Dishes - 20 Ct.
2.44 In. 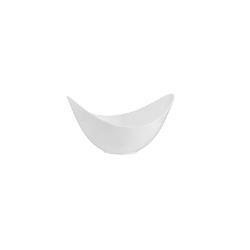 White Sauce Dishes - 20 Ct.
Clear Plastic Tasting Spoons - 48 Ct.
4.4 Oz. 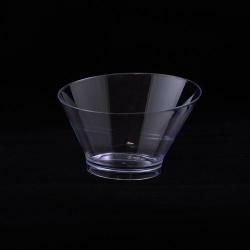 Clear Plastic Martini Glasses - 6 Ct.
2 1/4 Oz. 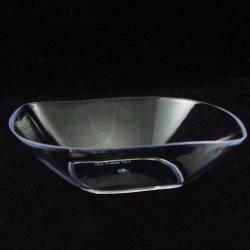 Clear Wavy Bowls - 8 Ct.
8 Oz. 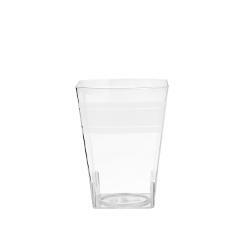 Clear Plastic Dessert Cups - 10 Ct.
4 In. 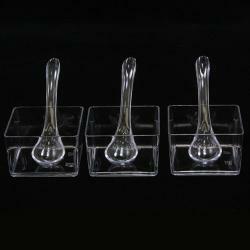 Miniature Rectangle Dessert Dishes - 12 Ct.
2 1/4 Oz. 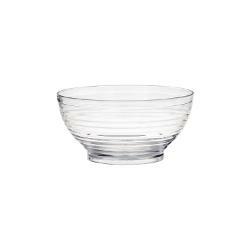 Mini Ribbed Dessert Bowls - 10 Ct.
8 Oz. 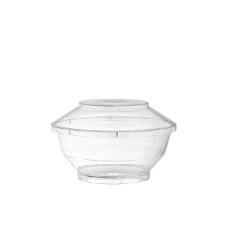 Clear Dessert Bowls With Lids - 6 Ct.
2 3/4 In. 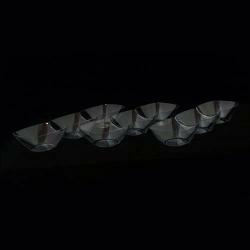 Clear Miniature Square Plates - 24 Ct.
2 3/4 In. 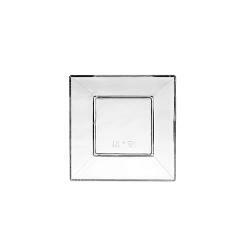 White Miniature Square Plates - 12 Ct. 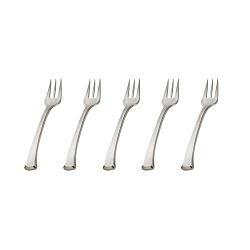 Exquisite Classic Silver Plastic Tasting Forks - 48 Ct. 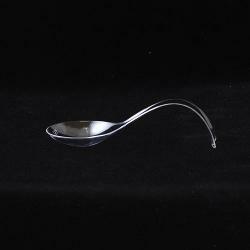 Exquisite Classic Silver Plastic Tasting Spoons - 48 Ct.
Clear Plastic Tasting Forks - 48 Ct.
Clear Free Standing Tasting Spoons - 24 Ct.
2 Oz. 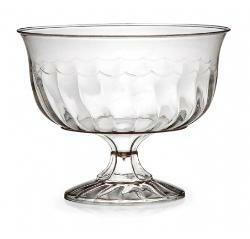 Clear Stemmed Mousse Cup - 20 Ct.
5 Oz. 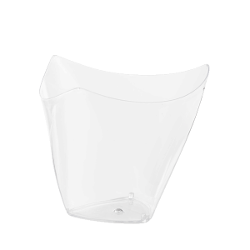 Clear Cup With Lid - 20 Ct.
2.44 In. 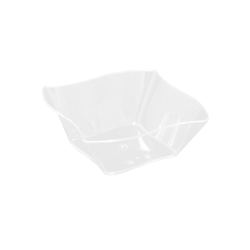 Clear Sauce Dishes - 20 Ct.
2 Oz. 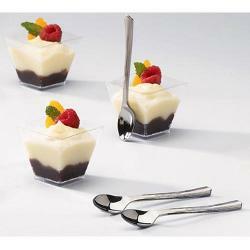 Miniature Cylinder Dessert Cups - 10 Ct.
3.25 In. 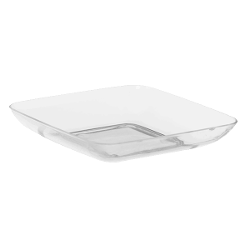 Miniature Rectangle Trays - 24 Ct.
Clear Fluted Appetizer Plates - 12 Ct.
8 Oz. 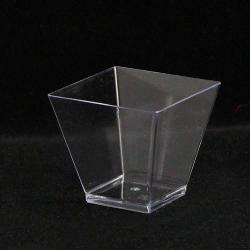 Clear Miniature Square Cups - 8 Ct.
2 Oz. 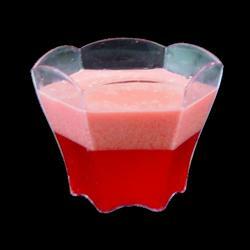 Graduated Square Mousse Cups - 24 Ct.
2 Oz. 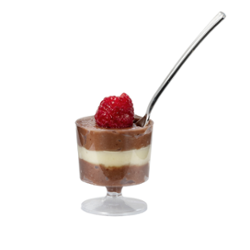 Miniature Diamond Mousse Cups - 24 Ct.
Reflective Silver plastic Tasting Forks - 25 ct.
Reflective Silver plastic Tasting Spoons - 25 ct.
Desserts come in all shapes and sizes, so why shouldn't your dessert dishes? 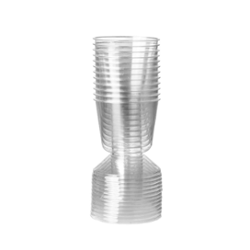 Factory Direct Party offers p​lastic dessert cups​ to make any sweet treat look even more scrumptious than it already does. 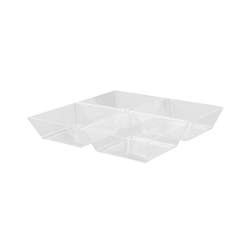 We have square, pentagonal and even hexagonal ​mini dessert cups​ for bite-sized goodies, dessert bowls with lids and plastic silverware that looks like the real thing! 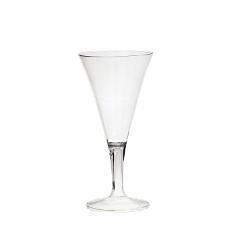 Give your guests a night to remember with a little help from FDP.